The Lodge on El Dorado offers one and two bedroom apartments for rent in Webster, TX, near Nassau Bay. Experience the comfort and warmth of community when you come home to one of our spaciously designed Webster apartments. Choose from a variety of floor plans, which have been recently renovated to enhance your lifestyle. At The Lodge on El Dorado, your comfort is our mission. Begin to imagine your life at The Lodge on El Dorado as you browse our selection of floor plans. All of our apartments include either a private patio or balcony. Expand your living space outdoors by utilizing the space and ambiance of your own private balcony. Walk-in closets provide ample room for your entire wardrobe, especially if you’re sharing your home with a partner. Enjoy the recently renovated amenities onsite at The Lodge on El Dorado in addition to spacious, well-appointed apartments homes. 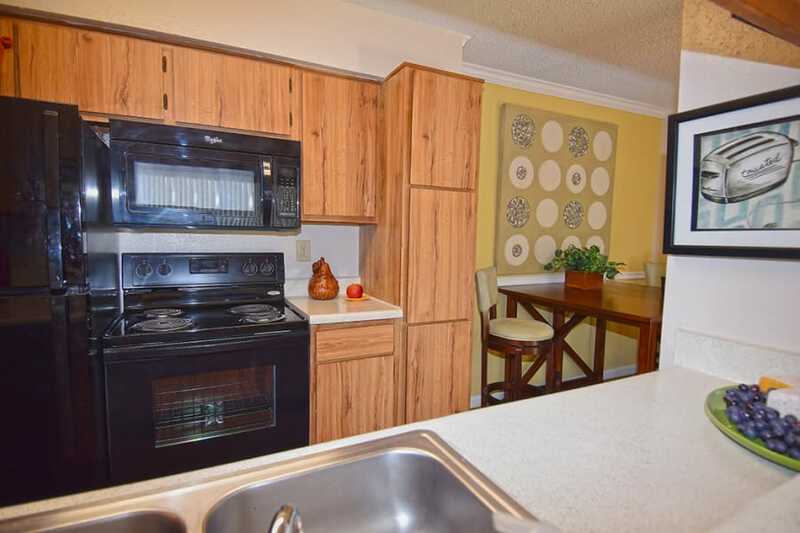 View photos of our one and two bedroom apartments in Webster, TX, by visiting our photo gallery. Begin to see yourself living life at The Lodge on El Dorado.